Summer is just around the corner which means it’s time to break out a fresh of white sneakers, and what better white sneakers to rock than the iconic AF1s? Air Force 1s have been a classic staple sneaker for many years, and for good reason. They’re a sneaker that can be worn in a ton of different ways. 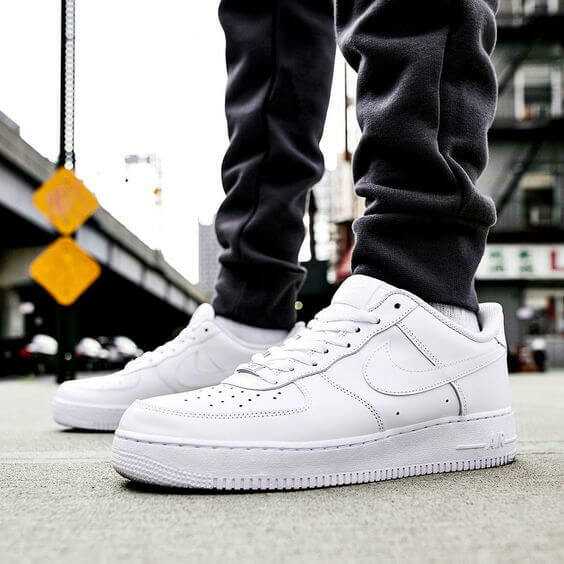 Air Force 1’s can be style in a ton of different ways – after all, they are a white sneaker and white sneakers are pretty versatile. Sizing: Air Force 1’s are a bit chunkier and can run a little big. Sizing down a half-size is recommended when purchasing a pair. 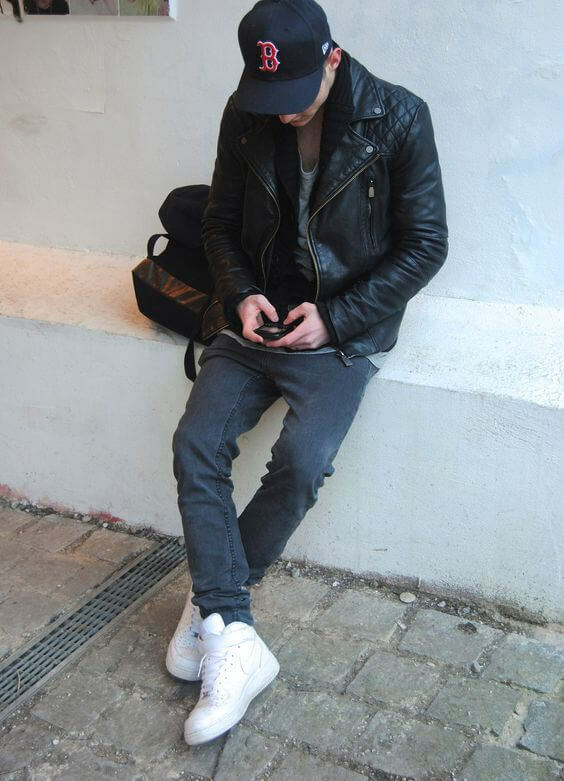 AF1s work great with black jeans, the contrast makes them pop out and look fresh, especially if they’re not scuffed. 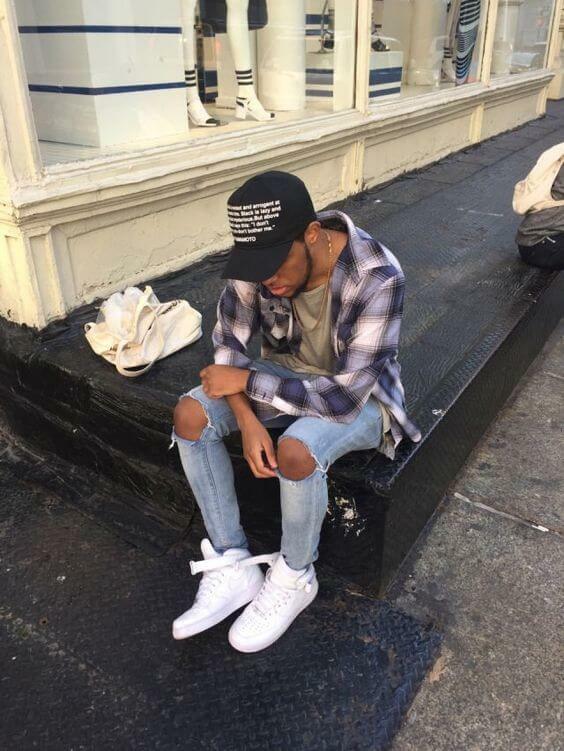 A regular pair of classic blue jeans also works great with a pair of AF1s. Opting for a pair of pants that are slightly cropped looks great when pair of AF1s because you can style them with a sick pair of long socks. 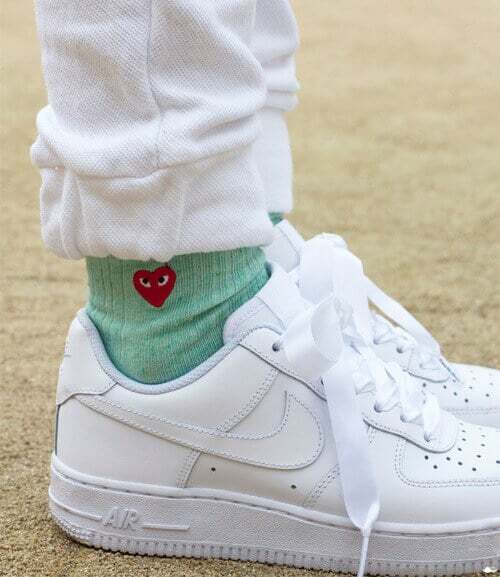 A common way to make your AF1 outfit stand out more is getting a pair of really cool long socks that you can show off by pin rolling or cropping your pants. Besides all of the above, AF1s can be paired with pretty much anything; from a nice leather jacket to a denim jacket, it all looks great. 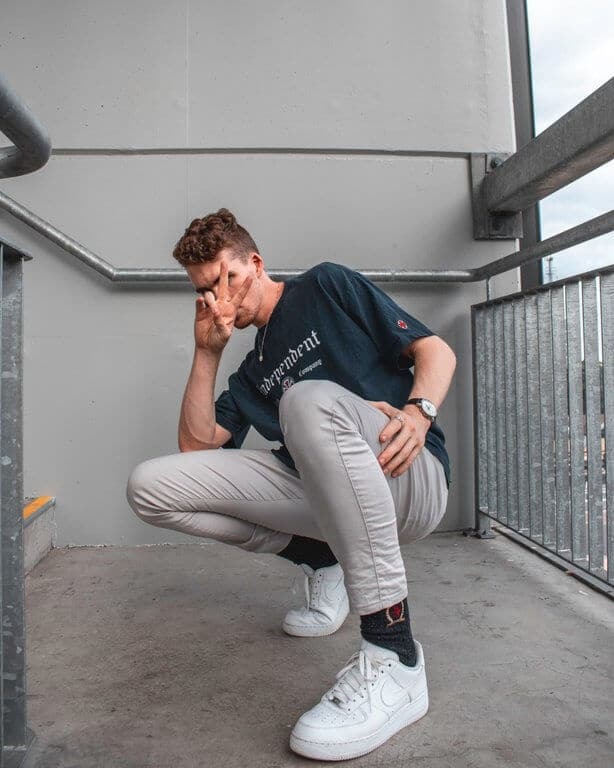 Another classic look is letting the straps on a mid pair of AF1s hang loose, this creates a more relaxed and casual look.